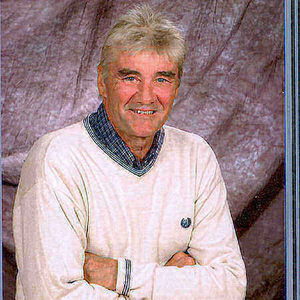 Bruce W. Hackey, 64, Colfax, ND, passed away, Tuesday, February 19, 2013, in Watford City, ND. The Funeral Service will be 2:00 PM, Monday at Richland High School, Colfax, ND. There will be visitation Sunday, from 5 PM to 7 PM with a 7 PM Prayer Service at Richland Lutheran Church, rural Walcott, ND, and one hour before the service at the school on Monday. Vertin-Munson Funeral Home, Wahpeton, is in charge of arrangements. Bruce Wayne Hackey was born January 6, 1949, at Fargo, ND, the son of Maurice and Norma (Rustvang) Hackey. He grew up near Walcott, ND, where he attended grade school and high school in Colfax. After graduating from North Central High School in Colfax, Bruce attended NDSU where he majored in History and graduated in 1971. He began his thirty plus years in education with Richland Junior and Senior High School in Colfax. He married Cheryl King on December 27, 1973 at Walcott Lutheran Church, Walcott. At Colfax, Bruce taught United States History, Social Studies, coached, was a Athletic Director and was later Principal until 2004. During this time he also received his Masters Degree at NDSU and received several certifications. He kept very active in the community, including farming until 1984. After his retirement from school he worked as an insurance adjuster for NODAK Mutual and Rain and Hail. Since February of 2012 he has been employed at KLJ, Fargo, in the Right-of-Way group. Bruce was a life long member of Richland Lutheran Church, rural Walcott where he was active in the Church Council, and was a past Richland Township Board Supervisor. He had belonged to National Association of Student Activities Advisors, North Dakota Council of School Administrators, and Region VI Principals Association. He has won awards for his diligence in the teaching profession and as an administrator. Bruce was known for his discipline, his dedication to a cause, and his mischievous sense of humor. He was a devoted family man who loved to turn an ordinary family vacation into a lesson in history. He was a veracious reader, especially if it involved history or mystery novels. Bruce enjoyed life in the Red River Valley where he hunted, fished and played golf with his family and friends. Bruce is survived by his wife of nearly 40 years, Cheryl, Colfax; two sons and a daughter: Travis (Sarah) Hackey, West Fargo, ND; Ryan (Michaela) Hackey, St. Louis Park, MN; Carma (Dustin) DeVillers, Fargo, ND; three grandchildren: Gia and Smith Hackey, Deaton DeVillers; two brothers, Jeff (Debby) Hackey, Walcott; David (Lori) Hackey, Billings, MT; a sister, Margot (Brian) Fjosne, West Fargo, ND; and nieces and nephews, and their children. He was preceded in death by his parents, and an infant brother, Douglas. Bruce and I were classmates from 1st grade to 11th grade. I'm very sorry to hear of his sudden passing. May the love of God comfort you during this time of sorrow. Mr. Hackey had a soft spot in his heart for teenagers like as myself were struggling to find their way in life. It meant alot to me and my future to have such a man as my principal at Richland. May you find comfort knowing that the lives he touched were many and that his love and influence extends to his family, children, grandchildren and community still today. Dear Cheryl and Family, You probably don't remember me, but I was the principal at Sheldon & Gwinner and Supt. at Leonard before moving to WI 25 years ago. I am saddened to learn of Bruce's passing, he was an outstanding educator and always a lot of fun! My thoughts are with you and your family at this time. I will never forget the great times I had working with Bruce. Ryan and Michaela-we are so sorry. Our hearts ache for you and we are thinking and praying for all of you. We are sending love your way. Let us know if there is anything we can do. We have such fond memories of Mr. Hackey at RHS and Richland Lutheran. He was an outstanding principal with a wonderful sense of humor that will be missed by all of us! Our thoughts and prayers are with you and your family. Praying for Cheryl, Travis , Ryan and Carma as you share memories of your remarkable Dad and husband. We were so grateful for the influence he had on our kids school life! Remembering Bruce with much love! Cheryl, Travis, Ryan and Carma Jo, Our family is saddened to hear of Bruce's passing. We send our heartfelt condolences and prayers to you all. Cheryl and Family, Craig and I were very sad to hear of Bruce's passing. We both have great memories of him and were honored to know him. Our hearts, prayers, sympathies, and love go out to each and everyone of you at this difficult time. God's blessings and healing to all of you. I want to express great sympathy to the Hackey family. Mr. Hackey was always fair and a great role model. He never seemed to forget anyone that attended Richland. Even when I ran into Travis in Iraq, Mr. Hackey sent his greetings and wrote me while I was deployed. It appears as though Heaven now has a Great Administrator, Friend, Leader and Family man to help keep things organized and running smooth. God Bless the Family and Community as we mourn a Great Man's passing, but celebrate the enormous and lasting impact he had on everyone around him.